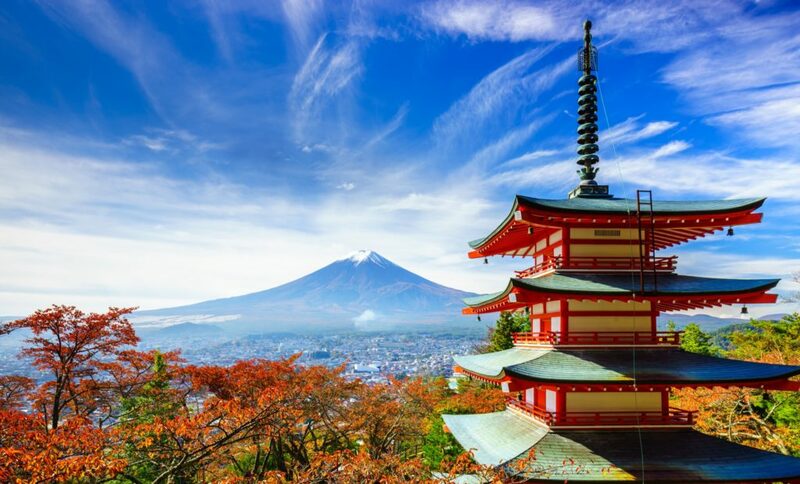 Experience a fascinating mix of ancient temples, sacred shrines, historic monuments and shiny neon lights as you travel to Tokyo, Kyoto, Hiroshima and Osaka. Discover the all-round sensorial experience that is one of WorldStrides’ most popular destinations for history, language and art students. Welcome Arrive in Tokyo, the gleaming, energetic capital of modern Japan. Begin to explore this exciting, thriving city. Explore Today is free for sightseeing and activities. Wonder at the beauty of the Meiji Shrine, marvel at the Imperial Palace Plaza or perhaps learn about Japan’s history and culture at the National Museum. Discover Enjoy another day of leisure in the exciting city of Tokyo. Take part in a sushi making course, visit the Asakusa Kannon Temple, or hop on the train to Tokyo Disneyland! On the Move Board the fast train from Tokyo to Kyoto, Japan’s former capital city. Welcome to Kyoto Check into a Ryokan, your traditional Japanese inn before enjoying an afternoon of leisurely exploration. Wander Today you are free to wander the city and take in its many wonders. Home to 1,600 Buddhist temples, 400 Shinto shrines, palaces and gardens there is much to see and discover in Kyoto. Hiroshima Journey to Hiroshima, the historic location of where the very first atomic bomb was dropped. Visit the Hiroshima Peace Park which contains historical monuments and the Peace Memorial Museum. Miyajima Island Enjoy a half day sightseeing tour of Miyajima Island, a UNESCO World Heritage Site. Capture the beauty of Itsukushima-jinja – one of the most photographed sites in all of Japan. On the Move Afterwards board the train to Osaka. Final Farewell Say Sayonara to Japan as your board your flight home to Australia. Thank you for your interest in our WorldStrides Land of the Rising Sun – Japan Tour! Please tell us a little more about yourself so we can get you sent to the right place.